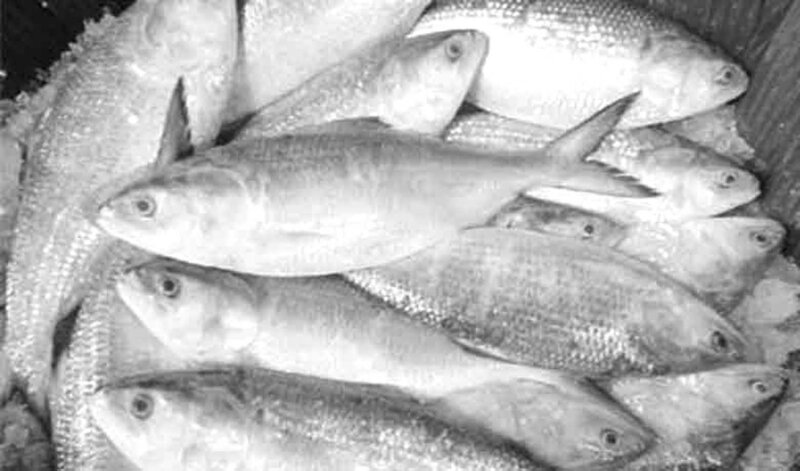 UNB: Huge hilsa netted from the Bay of Bengal and the Meghna estuary have flooded the biggest wholesale fish market of the country at Chandpur Boro Station in the town, bringing down the prices. Visiting the market on Wednesday morning, the UNB correspondent found a large number of fishing trawlers and pickup vans coming to the Fisheries Ghat carrying Hilsa netted from the coastal areas of Bhola, Char Fashion, Ramgati, Swandwip and the adjacent areas. But, around 90 percent of the mouthwatering fish was filled with huge eggs and around 50 percent of those were of 500/600 grams in weight and the rest are even smaller. Small hilsas were selling at Tk 200/250 per kg while that of 500 grams at Tk 350.00 per kg in retail markets. With constant smiles on their faces, day-labourers — Khokan, Nazrul, Mizan, Monir, Rahman and Mezba—told the correspondent that they have been passing a very busy time in handling hilsa as plenty of this delicious fish is being netted. Fish trader Mizanur Rahman Kalu Bhuiyan said some 3,500 maunds of hilsa were traded at Bara Station market in just three days. “In the last couple of days, we’ve sent thousands of cartons of hilsa to different markets of the country, including Dhaka’s Kawran Bazar, Abdullahpur, Bypail as well as Kishoreganj, Mymensingh, Sylhet, Jamalpur, Narayanganj and some other places of northern districts,” he said.